Why Is It Important to Get the BSN In Nursing? BSN stands for Bachelor of Science in Nursing. If you want to adopt nursing as your career, it is very important that you get a BSN. To complete your degree, you will need BSN capstone project ideas, but before that, it’s important to understand that why BSN is essential. A BSN is a four years nursing program. The courses include the arts, to fulfil the general education requirements and specific subjects about the nursing as a major. You can also study BSN nursing senior thesis, to know the difference between BSN thesis and the nursing capstone project. When you will get BSN degree, you will be able to work as a registered nurse. Registered nurses are usually given supervisory roles and that is the reason, they get high salaries. You will get a better status and job in better hospitals. If you have already attained the status of a registered nurse, you can enrol in RN- BSN status, which will give you the liberty to study and work at the same time. After getting BSN, you will have a better career ahead. What Are the Requirements for Getting the BSN in Nursing? To get the BSN, a student needs to complete the 58 hours of study courses, while in other institutions the requirements are to study 60 credit hours. Before getting admission, you can check the requirements from the website of the institution. Here we are discussing the general requirements for BSN degree. English. Students are required to study 6 semester hours of English. It includes composition and literature both, with special emphasis on critical writing. Human Growth and Development. This is a 3 hours study course. The content of the course is concerned with human growth and developmental milestones. Keep in mind, its different from the child development. Human Anatomy. Its 4 hours study course, which deals with the structure of the human body. Some institution combines human anatomy with Physiology, while others teach them separately. Lab is also included in this course. Human Physiology. If not taught with the anatomy, the course is offered separately, which is also of 4 hours duration. The course is about the regulation of the human body. Functions of the major body organs are also taught. Microbiology. Its 4 semester hours survey course, which gives information about the viruses, bacteria and other microorganisms. Epidemiology, virology and pathology are also part of this course. Statistics. A basic statistical course is also taught, which is of 3 semester hour duration. Basic topics like hypothesis testing, linear regression and probability are part of it. Science elective. Students have to select the 4 hours study course from the science group, which can be physics, chemistry or biology, with lab. Social science and humanities elective. 15 semester hours are dedicated to social science courses like a computer, sociology, management, education, foreign languages, communication, religion, art etc. General electives. These are 17 semester hours, which are about the non-nursing courses. A course like public speaking, additional math can be studied in this category. If you are enrolled in BSN, you have to search for the BSN capstone project topics or you may search for the topics for health administration capstone. A capstone project is very important as you incorporate all your learning and practical experience in this project. It is used to evaluate your abilities and learning capacity. You can use the previous BSN nursing project examples to get nursing capstone project ideas BSN. It is very important to select a few good BSN nursing capstone project ideas. When you think about the capstone project ideas nursing, plan it according to the time you have. While selecting the capstone project ideas for BSN program, you have to keep in mind your resources. The lab facilities, library access and other technical requirements. If you will select a topic and you don’t have enough resources to complete that, things will be difficult for you. Another important thing to consider is the time. Don’t plan a very long or very short project. Moreover, select DNP capstone ideas, which are practical and can help you in the final year project for medics. If you plan your RN to BSN capstone well in time, you will be able to complete it within the given time and it will give a good impression on your CV. Want to see more? Download the full list of 50 ideas! How Our Services Can Help You? 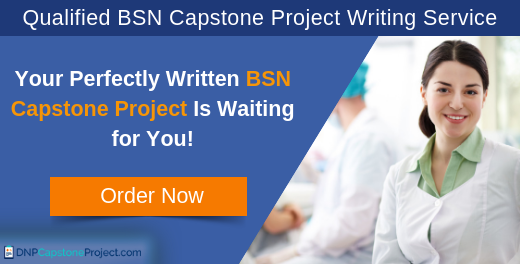 Now when you know the facts about nursing and senior thesis in a program for BSN, you will be well aware of the importance of capstone project. 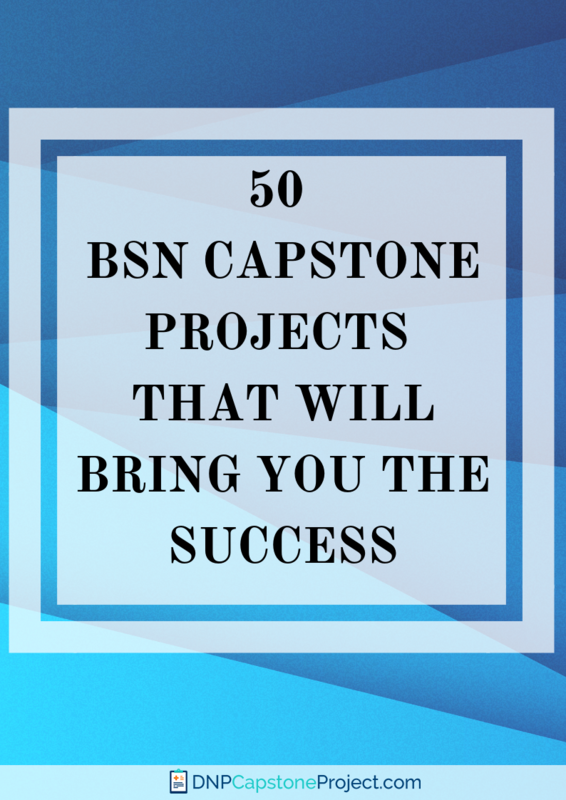 If you are looking for the BSN capstone project ideas, we are here to help you. we have a team of experts, who can help you at each and every step of a capstone project. They can provide BSN nursing capstone project examples, to guide you. if you are confused about the capstone project, or you are working too and have no time for your capstone project, they can write your capstone project for you. They are the professionals, who are well trained. They know the requirements of capstone projects as they have already helped a large number of students around the world. They can write a good project for you. If you have already written your capstone project, our team of editors can help you will editing and proofreading. They are trained to do these jobs, particularly. We believe in the privacy of our clients, so all the details, personal and professionals, kept confidentially. All the orders are delivered in time. So, if you are short of time, our service is the best available choice. We believe in serving our customers with quality content. So, all our documents are customized, and nothing is copied from any source. Our charges are very economical. Students can easily afford them. If you need any change in your project, you can contact us for the revision. It’s not easy to find BSN capstone project ideas. If you are confused, contact us and get your capstone project done with perfection. Call us now!